If raising the pH above 7 fixes creatine's stability issue, why don't other companies just raise theirs too? Because our patent # 6,399,661 means they can't. As this pH graph illustrates, Kre-Alkalyn's patent covers all pH levels from 7-14. Therefore, the pH of all other creatine products must be pH 6.9 or less. Why choose creatine monohydrate over anything else? Creatine Monohydrate is the ONLY form of creatine backed by 200+ studies. Over 70 studies are published in peer-reviewed journals. 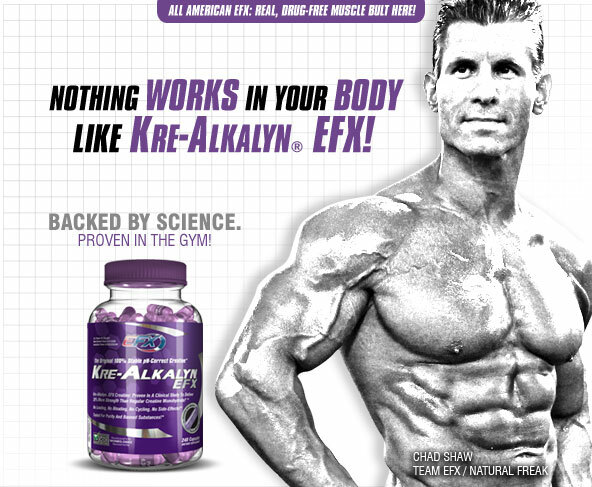 Wanna take a guess what Kre-Alkalyn® EFX is? You got it! 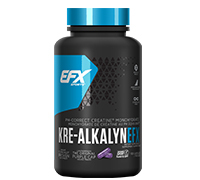 Kre-Alkalyn® EFX tests out as 99.9% pure creatine monohydrate! Why does industry expert "X" say creatine is unstable? Don't take our word for it. Let's see what the Merck Index has to say instead. What's the Merck Index you ask? It's THE go-to reference used by chemists, biochemists, etc. - it's a standard fixture in every lab. Under the heading, Creatine (#2637, pg. 435 of the 12th edition) we read: "In aqueous solution creatinine is formed...". As for the pH of creatine, "...and aqueous and alkaline solutions contain an equilibrium mixture of creatine and creatinine, while in acid solution the formation of creatinine is complete". Furthermore, this highly respected publication also points out this information is based on research performed... back in 1928. (Canna, Shore, Biochem. J. 22, 924 (1928). In other words, science has known about creatine's stability issue for over 84 years! 24 members of the Bulgarian National Weightlifting Team were selected to participate in a landmark double-blind clinical study comparing Kre-Alkalyn® to standard creatine monohydrate. The final results were shocking! After 60 days the Kre-Alkalyn® group experienced an overall average strength increase of 28.25% above those in the creatine monohydrate group! * Remember, these weren’t "newbies". They were all world-class competitors. Referenced: (1) Stoychev K., Terziiski N. (2006). 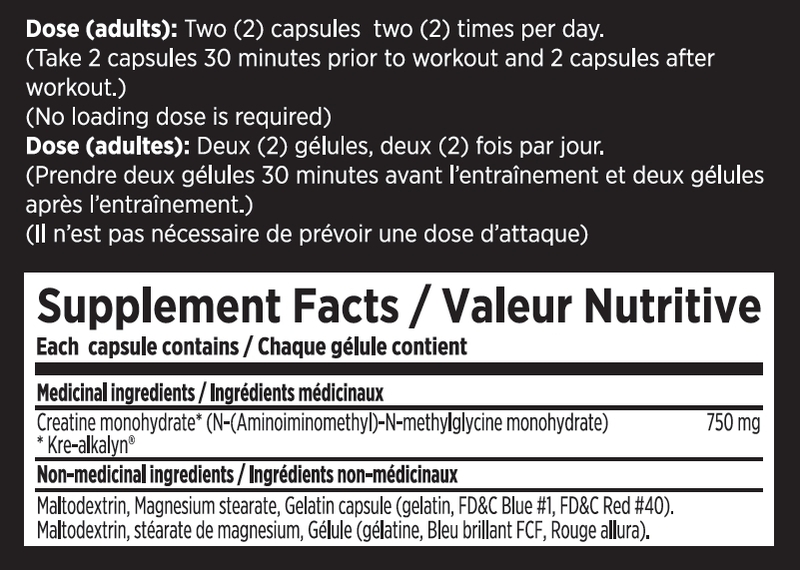 "Comparison of Kre-Alkalyn® to Creatine... Performance & Safety". If Kre-Alkalyn® worked this well for these elite Olympic athletes, imagine what it could do for you! Most bodybuilders keep jumping from one type of creatine to the next, hoping their results will match the hype. The dissappointment ends here with Kre-Alkalyn® EFX!